Transforming myself to transform the world. As 2016 comes to a close, I have been reflecting on its purpose. It's been a mess of a year-- the kind you might want to throw a match to and start fresh. We've had wars and shootings that have rocked our collective sense of self. We've lost beloved souls, whose music and performances have soothed our hearts and inspired our tomorrows. There's been division and destruction of our relationships and our land. For many of us (myself, included) these public hurts have been mirrored by private heartbreak. The kind that rips us open and asks more of us than we thought possible. The kind that keep us hidden. The kind that fill us with fear. See, 2016 was a disaster of a year. I've done disaster before, and what I know more deeply than I know anything else, is that disaster also brings grace and hope--if we are willing to see it. The events of 2016 have awakened many to the injustices that have been perpetrated against people of color, religious minorities, native peoples, our land, our waters, and our children. These injustices are not new--we just pulled them out of the shadows. As painful and persistent as these truths are, we cannot change them unless we face them. 2016 did that for us. 2016 did that for me too. My personal life was filled with awakening too. It wasn't pleasant, but it was absolutely necessary. It shook me, turned me upside down and inside out, until I could finally see my life in its truest form. Now I'm doing life differently, and couldn't be more grateful for the shake ups. 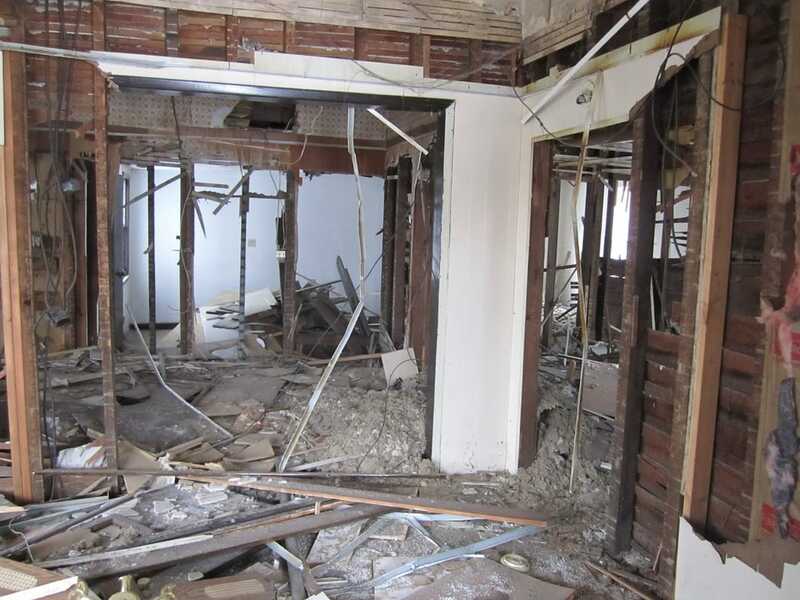 Back in my trauma recovery days, when I was feeling particularly raw and messy, a wise friend reminded me of what its like to renovate a house. There's this stage where everything has been gutted, the inner workings of the house exposed. It looks like a complete disaster and panic and fear can set in. We can't read the blueprints, the master plan, and we want our house back the way it use to be--even if there wasn't room for everyone and we didn't really like it. If we trust our contractors and designers, the ones with the vision and skills for execution, we love the after and can't believe how we could have lived in the before. That's my hope for 2016. It was our demo year. We smashed holes in all the walls, exposed some mold and pests that had been multiplying in the recesses of society, and now it's time to get to work on the new vision. Trusting that the ones with the master plan know things are right on schedule. There is no real transformation without the discomfort of exposing the raw, messy underbelly of our reality. It's why I love rock bottom... at least, my own rock bottoms. One of my awakenings this year, was that I had been trying to play Superwoman and hold up the ​world to protect others from the pain of their own transformation and the impact of their decisions. The truth is, I wasn't protecting them as much as I was protecting myself from the discomfort of the renovation. 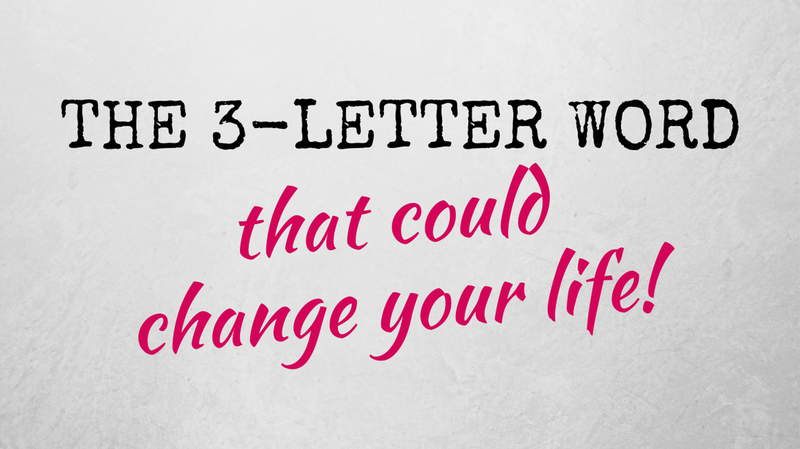 So, now I'm a superwoman in recovery and am inviting other women with me for the journey. For me, 2016 was a year of renovation and recalibration: looking even deeper within to grow and explore my truth. I'm stronger for it. I'm grateful for it. And, rather than hold on to the hard that got me there, I'm choosing to embrace the strength and fierce determination is has awakened within me. My vision is clear and I'm ready to trust the master planner. That is my wish for you as we close out this year. That you find gifts to embrace, lessons to lean-on, and connections to fortify. 2016, wasn't pretty, but we're getting somewhere. Count me in on the re-construction for 2017. Cheers! 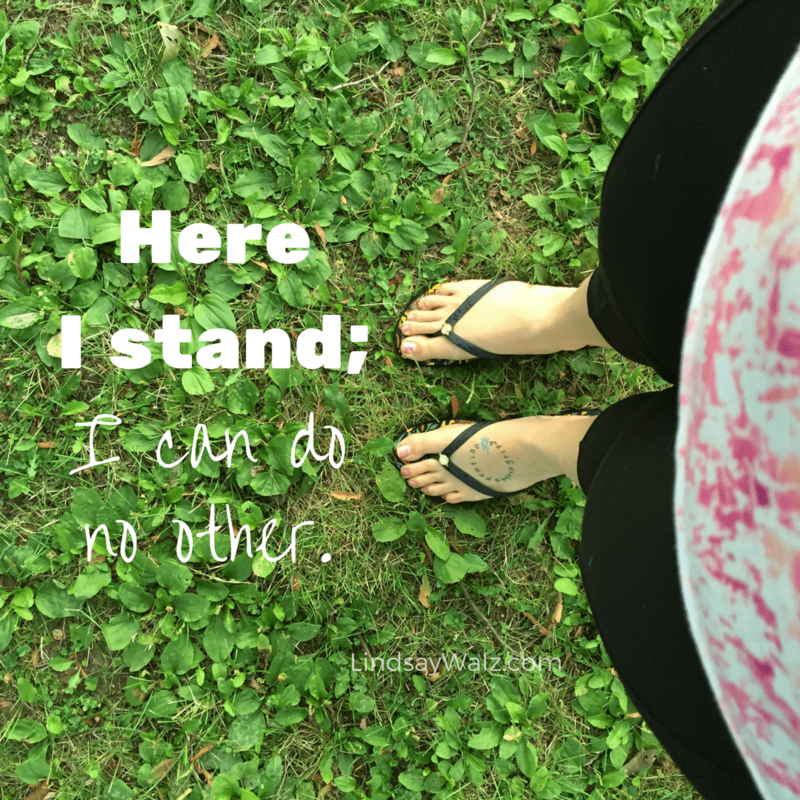 I have always been guided by this quote, often attributed to Martin Luther: "Here I stand, I can do no other." It guided me into youth work and affirmed the space that exists between the traditional fields of social work and education--offering a little of both and just as much of neither. It also affirmed what I felt when I told myself at seventeen, "someday I'm going to open a youth center." I knew the chances were long and the road would be tough, but in my bones I knew it was true. Along the way, I've had many experiences, some that have brought me to my knees and some that have sent me flying. When my stand came true, when my dream became a reality, I was faced with the feeling that I wasn't done yet- this wasn't it. My purpose, once rooted in an adolescent heart had grown up too, and my dreams were expanding beyond the space I had created for youth. I wanted to share my story in ways that could better equip others working with youth to engage their own hearts and transform their own hurts. Pain and oppression are cyclical, feeding more pain and oppression. I want to fill the space between with hope and healing, so we can shift and shape a new reality. Over the past year, I've been finding my feet again. It began by offering trainings to people-serving organizations and schools on trauma-informed practice, resilience, and self-care. Now, as we say goodbye to what has been a brutal 2016 (personally for me and very publicly for many) I am excited to announce that the piece of my puzzle that eluded me for a while, has finally revealed itself! Beginning in 2017, in addition to help heARTS grow and continuing to offer trainings, I (an *a-hem* recovering Superwoman) will be launching the Superwoman Recovery Program! It will begin with an online class called Superwoman Reboot and will grow to include opportunties for private coaching and Circle convenings with local women. What I know is this: we are the ones we've been waiting for, and the world needs a steady and strong dose of what our Super Selves can offer. Want to know out more? Head to the landing page for details and to sign-up for updates! Just like my pull toward youth work, it may not make sense to everyone but my truth is real: Here I stand and I can do no other. With peace and (super) solidarity! 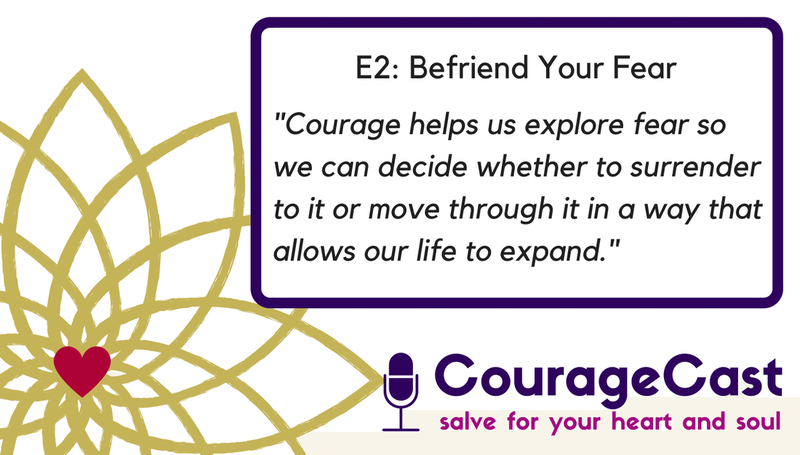 In episode 2, I have two stories to share about how I've befriended my fear and learned to discern real vs perceived threats. In either circumstance, courage is what's needed to make a decision that will expand your life rather than restrict it. If you would like to have a conversation about the content of today's cast, I invite you to join me over in my private Facebook group: The Resilient Soul Sanctuary. It's a safe space, where you can share your own reflections and start a conversation about how courage shows up in your own life. Before I leave you to it, I wanted to let you know that CourageCast is now available on iTunes and will soon be on Stitcher too! If you like what you hear, I'd appreciate a review! My mission in life is to break people open so they can make waves of change in this world. Courage and resilience is at the heart of this work and I'm ready to level up and take my (self-proclaimed) role as a courage catalyst to the next level! So, on the third birthday of courageous heARTS, I introduce you to CourageCast - my newest offering to the world. This podcast will explore courage in all its messy glory. I'll share some of my own stories and experiences of courage (the fails and the triumphs) and will interview change makers who are embodying courage and challenging status quo. This first episode is the start of a new kind of community for me. I hope you'll join me on the journey and share your insights, questions, stories and suggestions as we go! Courage is critical right now, as the systems and structures in our world are crumbling. Courage is about exploring our insides. Your voice is so important - speak your truth even when it's not what the world wants/expects you to say. Courage isn't necessarily about the big moments in our lives. It's the baby steps where we can practice and persist. Creativity is a fantastic way to practice courage. We are all creative beings. Fearlessness isn't a thing. 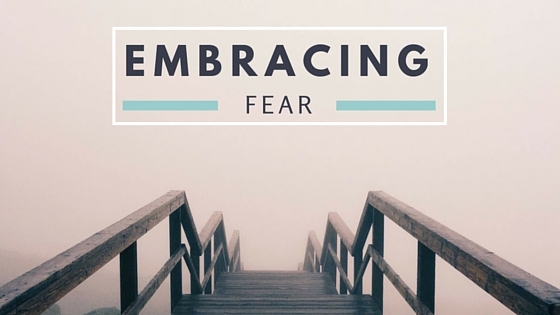 Courage is moving forward through the fear: acknowledging it and deciding what's on the other side matters more. What questions do you have about courage? What gets in the way for you? Where do you struggle with it the most? I want to call attention to everyday courage and change makers who are making waves in this world. Who do you want to hear from? I hope the first hours of 2016 have been all you hoped for. In the event that they haven't, I want you to remember that today is as special as any other day. The collective intention to create goals and stick with them can be helpful and I'm a huge fan of taking stock of your life, but we put a lot of pressure on ourselves to change all of our bad habits the minute the clock strikes midnight. One of the things I've learned over the years is that there are certain things I do want to improve about myself, but rarely do those things show up on a checklist. Usually there's a lot of digging and poking around on the inside before I know what steps to take on the outside. Instead of creating lists of resolutions I'll almost certainly neglect and usually stress me out, I've adopted two practices to help me envision the year ahead and the way I want to feel. I get that being a police officer is hard work - I'm pretty sure we can all agree on that. I also believe that most officers do the best they can with what they have. I think that is true for all of us. You make mistakes, just like the rest of us. You have implicit bias, just like the rest of us. You are trying to survive, just like the rest of us. Back in 2009, I had the opportunity to attend a 4-day training in Dialectical Behavioral Therapy (DBT). Since then, I've challenged myself to use the skills offered by Dr. Marsha Linehan in both my work and my life. This past weekend, while attending the Center for Courage and Renewal's Academy for Leaders, I had the opportunity to integrate my understanding of her work with the work of Parker Palmer. Dialectical thinking creates space for opposites to be true. It's shifting our minds from either/or to both/and. Parker Palmer uses the language of paradox to describe this same phenomenon as a "tragic gap" between what is and what could be. 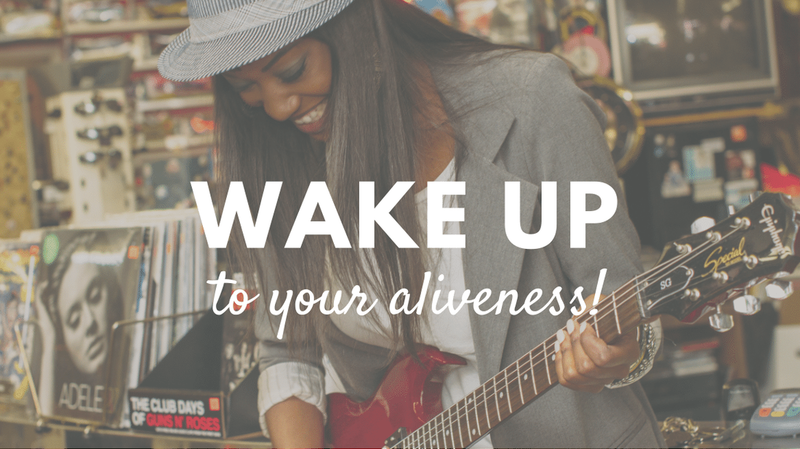 Wake Up to Your Aliveness! My first vlog (what a horrible word), is a story from my Soul Camp experience a couple weeks ago! Since I loved the experience SO MUCH, I also wanted to do a quick plug for Soul Camp West, which is happening at the end of October in California. Tickets are still available and if you use the code LINDSAYSOUL you'll get a 20% discount! Reflection has been a constant on my journey. This blog is a collection of my thoughts and ideas about my healing and the world. Side note: I'm a bit of a dabbler and have been throwing a lot of 'spaghetti' on the wall to see what sticks (i.e. podcast, vlogs, etc.) I like where I'm going but realized I was heading there too soon and my capacity hasn't kept up with my ambition. Stay tuned because I will re-emerge one of these days!